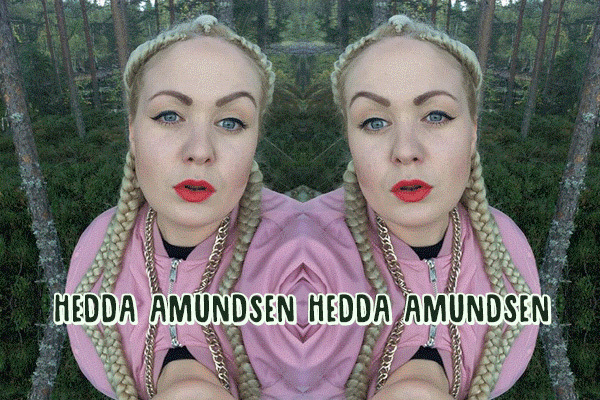 Hedda Roterud Amundsen (b. 1989) is based in Oslo, Norway. Amundsen’s work focuses on the re-construction of visual material juxtaposed by intimate personal experiences. She aims to deconstruct potential visual/textual binary opposition: since most of our experience of media is a hybrid of texts, images, and sounds, rather than pure states of any one mode. She works in various media such as installation, digital collage, video, performance and text – and her projects usually overlaps and intertwines. Humor and visual culture (as a system) are modes of inspiration for her work, often incorporating elements from perceived “low” culture. The experience of everyday life within this framework, navigating and negotiating meaning, creates the context of her work.